Property 9: Beverley Tce bach, tropical, funky and spacious. Property 17: Great holiday pad. Breath in that beach air. Walk straight onto the sand from your garden. Property 31: Walk straight onto the sand from your garden. Property 33: Cute, comfortable, clean and self-contained. Property 46: Onemana - Relax andamp; Revive! Tairua Treasure - amazing place to unwind. 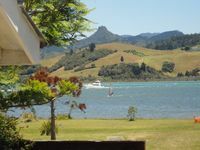 Property 48: Tairua Treasure - amazing place to unwind. 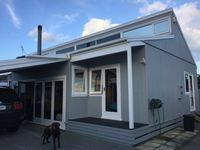 Property 49: ONEMANA. Premium location. Walk across the road to the beach.